Reading is a big county town in Berkshire, England. The town was declared the biggest in Berkshire back in 1525, and in terms of taxable wealth, it is the 10th biggest town in England. Its population has continued to increase with their primary trade item being cloth. If you are looking to visit the town, Minibus Hire Reading is your best transport partner. Some of the many aspects you will enjoy while visiting this historical town are the many racecourses. Whether it is within or on the outskirts of this majestic town, Minibus Hire Reading will gladly take you there. Some of the best horse racecourses include those highlighted next. You might have heard about this racecourse or seen it on TV where women wearing gorgeous hats every summer feature in various advertisements. If you are looking forward to the event of the year in Berkshire, Royal Ascot is the place to visit in June. It holds the major race day then, and every event comes with a unique theme, including a cocktail party in July and fireworks in November, among other events. You will find lots of family race days where your entire family can have fun. Let our dedicated drivers take you there for a fun-filled day. This racecourse has been voted as the racecourse of the year for five consecutive years, and no other has come close to that. It hosts races throughout the year, and Minibus Hire Reading will take you there with your mates for an adrenaline-filled day. Enjoy meeting with famous pop groups. It will only take a few minutes to get there, and we will be more than happy to make your day a fantastic one. Our chauffeurs will even wait for you so that they can drive your team back to your hotel. 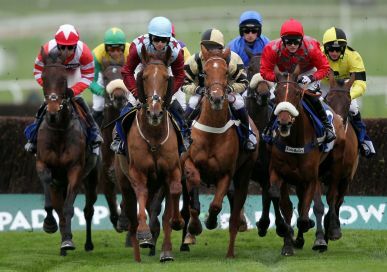 Look out for more racecourses that are located near the town of Reading, and we will be sure to get you to them.